Prime Minister Narendra Modi will inaugurate the first Hindu temple in Abu Dhabi during his visit to West Asia from February 9-12 when he will visit Palestine as well. Currently, the United Arab Emirates (UAE) has only one temple for Hindu worshippers, and that is in Dubai. There are as much as 2.6 million Indians in the UAE, accounting for 30% of its total population. The UAE government had announced it was allocating land in Abu Dhabi to build a temple during Modi’s first visit to the emirates in 2015 and allocated 20,000 square metres of land in Al Wathba. The temple is being privately funded. 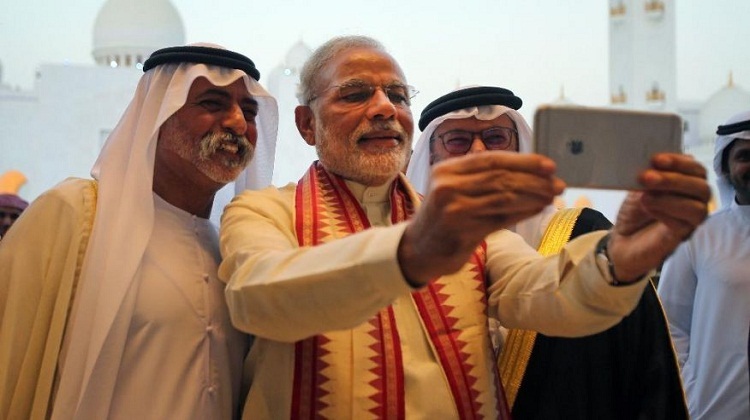 Modi will arrive in Abu Dhabi on February 10 evening and will travel to Dubai the next day. He is expected to address Indian community reception at the Dubai Opera on February 11, a Sunday. As many as 1,800 people are expected to participate in the event. Modi will also be a star attraction at the sixth World Government Summit — a three-day annual event in Dubai that will see India as the guest country — on February 11. Security and economic partnerships between India and the UAE have been on the upswing since Modi’s visit in 2015. Abu Dhabi Crown Prince Sheikh Mohamed bin Zayed Al Nahyan was the chief guest at 2017 Republic Day parade in New Delhi. Be the first to comment on "PM Modi to inaugurate first Hindu temple in Abu Dhabi"